2019 3rd International Conference on Sustainable Tourism Management (ICSTM 2019) will be held in Budapest, Hungary during August 21-23, 2019. It aims to provide a forum for researchers, practitioners, and professionals from both the industry and the academia to share their newest research findings and results. ICSTM is also The Annual Meeting of JOAMS Editorial Board, so it also serves to bring authors and editors of JOAMS together to communciate face to face and discuss chances for possible cooperation and future development of JOAMS. 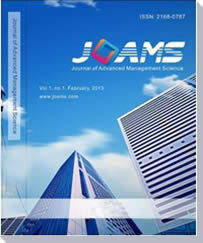 Submitted papers will be reviewed by both the conference committees and JOAMS editorial board, and accepted papers will be published in Journal of Advanced Management Science, which will be indexed by Google Scholar, Crossref, ProQuest, etc. All the authors are supposed to submit your full papers or abstracts to us via the iConference Submission System or email icstm@etpub.com. Papers must be submitted electronically in PDF format. Submissions will be reviewed by the conference committees and journal editorial board, and accepted papers will be published in Journal of Advanced Management Science, which will be indexed indexed by Ulrich's Periodicals Directory, Google Scholar, Crossref, etc. Note: For those who're NOT looking to publish their papers, it's acceptable to submit your abstracts to the conference simply for presentation without publication, which will be sent to at least two technical committees for a brief review, and it will take about 10 working days.